This is a simplified version of pattern detection software we developed. It is designed to demonstrate that patterns players think exist may not exist at all. 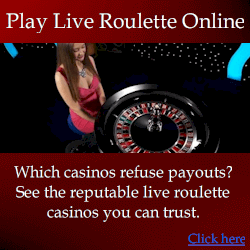 So it’s like a discovery tool for roulette players. The software is free to distribute provided the zip file is distributed as-is, without any changes. STEP 3. In the area named “Pattern”, enter one number per line, but the first line must be a comma (because of how the software was designed). In this example, the pattern to look for is numbers 1,2,3 (one number per line in this order). This is the pattern you want the software to find in your spins. The zip file you downloaded includes some test spins but you can use your own too. STEP 5. Now click “Go” and the software will count the number of times your pattern appeared. 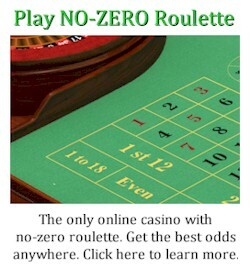 Before you test, see the page at http://www.roulettephysics.com/roulette-strategy/ which explains the roulette strategies and approaches that fail. Then you can test some of the principles with the software. 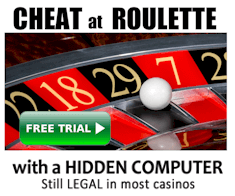 The free software wont test all principles, although it will test some important ones that you must understand to develop a winning roulette system. Do streaks affect future outcomes? 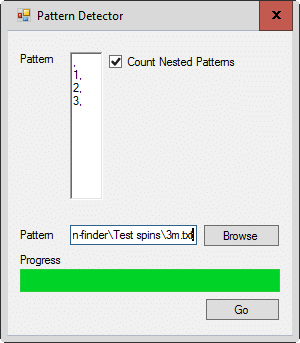 Specify the pattern 0,0,0,0 (4 consecutive zeros) and see how many times this sequence of spins occurs. Then try 0,0,0,1 and see if it’s any different to four zeros. Or try 0,0,0,2 and so on. You’ll find that no sequence of numbers will change the odds of the future spins. So bets based on streaks doesn’t work at all. And betting on numbers that haven’t spun for a while doesn’t work either, although it’s a little more complicated to test. I do have software that does it but I haven’t separated the functionality from other software that I’m not publishing. Now ask yourself: now that you see the odds of winning haven’t changed, is your method of bet selection better than random, or the same? If you understand what I’m saying, then you’ll know your roulette system isn’t increasing the accuracy of predictions. So what’s left? Just a martingale, which is changing bet size on independent spins. And it doesn’t work. It will only search for sequences you specify. To find billions of complex patterns and sequences will take a lifetime to do with this software. Realistically to find complex patterns, you need much more powerful software. That’s basically what the JAA software is (http://www.roulettephysics.com/cross-referencing/) although it isn’t publicly available. It uses a method called cross referencing that allows statistically relevant anomalies to be found with far fewer spins. There are many ways you can use this software. You can ask it to check for any sequence of numbers you want. You’ll find that any sequence of 5 or so numbers has the same chance of spinning as any other sequence of 5 numbers. It can be 0,0,0,0,1 or 1,2,3,4,5 or 1,1,1,1,1 – it’s all the same. Real patterns do exist in roulette spins, but this software is more just to show you some important facts. The best and only viable way to test a system is with automated software like this. There’s no point to testing a few hundred or even several thousand of spins, because it is too short term. Anything can happen in the short term. The point of the software is to save you time, so you don’t waste time on systems that have been tried billions of times, and don’t work. Many players don’t care to listen to more experienced players, because on forums the truth is often revealed by more experienced players. But often new players don’t want to listen, or perhaps they don’t understand important facts about gambling and roulette spins. Eventually I may publish more capable software but anyone with reasonable time and will can use other software (like Roulette Xtreme) to do more extensive testing. ← Is Roulette The Best Way To Make Money?